1/30/2009 – Five Keys Go For FIVE! The Five Keys Go For FIVE! This is a very exciting Friday Night Cat Fight this week as the Five Keys go for FIVE stright wins.Â If they win this week, they’ll be inducted into the MattTheCat.com Alley Of Fame.Â We’re going back to their original winning song from five week’s ago, “The Glory Of Love”.Â This week, they’ll battle The Velvetones and their 1957 version of the song.Â The choice is yours, Cats n’ Kittens.Â Will The Keys makes it into the Ally Of Fame OR will The Velvetones stop them dead in their tracks.Â Vote below and pass this on to all your friends on the web. Five Keys Have Won THREE In A Row…Only TWO To Go! The Five Keys have once again emerged victorious. Last week they beat Buddy Knox and this week, they’ll try to make it a whopping FOUR weeks in a row. If they can win FIVE in a row, then they’ll be inducted into the very prestigiousAlley Of Fame on mattthecat.com. BUT, let’s not get ahead of ourselves, The Keys must first get past this week’s competition, Sunny & The Sunglows. Listen, dig and vote! The Five Keys Try For A 3rd Straight Win! The Five Keys from Newport News, VA won their 2nd decisive Cat Fight last week against the DC-based Clovers. Well, The Keys are back this week trying to make it 3 weeks in a row atop the Friday Night Cat Fight! 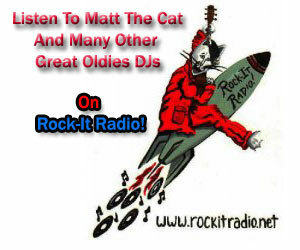 I think your preference in music will show this week, as their competition is rockabilly singer, Buddy Knox. Voice you choice; Doo Wop OR Rockabilly when it comes to “Ling Ting Tong”. The Five Keys 2nd Week! 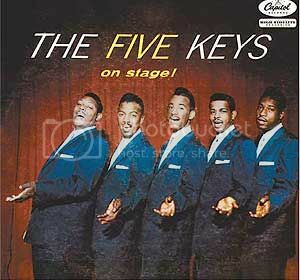 This week, just like the good ol’ days on the radio, The Five Keys RETURN for a 2nd week. This time they take a song written by Chuck Willis and face-off against some stiff vocal competition from The Clovers. Give them both a listen and then decide for yourself which one floats YOUR boat. Vote now on The Friday Night Cat Fight! 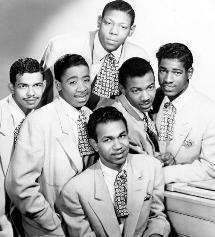 This week, the doo wop remains in control as 2 great and very underrated 50s vocal groups battle over an iconic doo wop classic, “The Glory Of Love”. Please listen to both versions of this tune in their entirety before deciding which version your truly dig the MOST! Will it be the classic by The Five Keys OR the rarely heard “should’ve been classic” by The Angels? Well, that’s the story, that’s the glory of love! This week’s Cat Fight is special for New Year’s Eve. Two vocal groups are gonna fight it out over the classic New Year’s tune, “What Are You Doing New Year’s Eve.” So dig ’em both and then make your decision of which one is the best. Happy New Year cats n’ kittens. Let’s keep on prowlin’ fine in 2009! This week’s Christmas Cat Fight is destined to be a holiday rumble. I’m taking the most popular Christmas song of all time and playing two different Doo Wop versions for your consideration. Click the link below to hear the Christmas Friday Night Cat Fight and then vote in the following poll. Merry Christmas and Happy Hanukkah, Night Prowlers. This week’s Christmas Cat Fight is destined to be a holiday rumble. I’m taking the most popular Christmas song of all time and playing two different Doo Wop versions for your consideration. Click the player above to hear the Christmas Friday Night Cat Fight and then vote in the following poll. Merry Christmas and Happy Hanukkah, Night Prowlers. This week’s Cat Fight is pure blues baby. 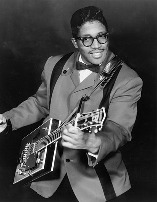 Bo Diddley wrote the song and it appeared as the B-side on his debut single for Checker Records in March of 1955. 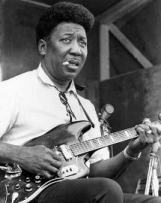 Two months later, Muddy Waters cut his own version of the song and re-titled it, “Manish Boy”. Now, it’s your turn to decide who got it right? Click the player above to listen to the Cat Fight and then voice your choice below in the poll. Crazy! Which One Do You DIG The Most? – “I’m A Man” / “Manish Boy”? Last week, The Crickets (without Buddy Holly) were beaten to a pulp by The Bobby Fuller Four. This week, the same match-up continues as The Crickets return again without Buddy Holly to battle Bobby Fuller. 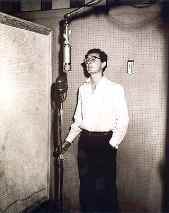 This is a very interesting Cat Fight as you’re going to hear Buddy Holly’s actual DEMO of the song “Love’s Made A Fool Of You” and then The Crickets recording of it from Feb of 1959. It’s up against Bobby Fuller Four’s 1966 top 30 hit version of the song. Will this week’s Cat Fight be deja vu of last week’s or will we have a NEW winner? It’s up to you, The Night Prowlers to decide. This week’s Friday Night Cat Fight takes a song penned by The Crickets’ Sonny Curtis and turns it into a rock n’ roll anthem. Originally recorded by the post-Buddy Holly Crickets in April of 1959, it was covered twice by Bobby Fuller. I’m putting The Crickets’ original up against Bobby Fuller’s 2nd version, the one that hit #9 on the pop charts in 1966. Decide for yourselves, Night Prowlers, which one you dig the most and then vote below. Maybe The Clash will make an appearance on next week’s Cat Fight….